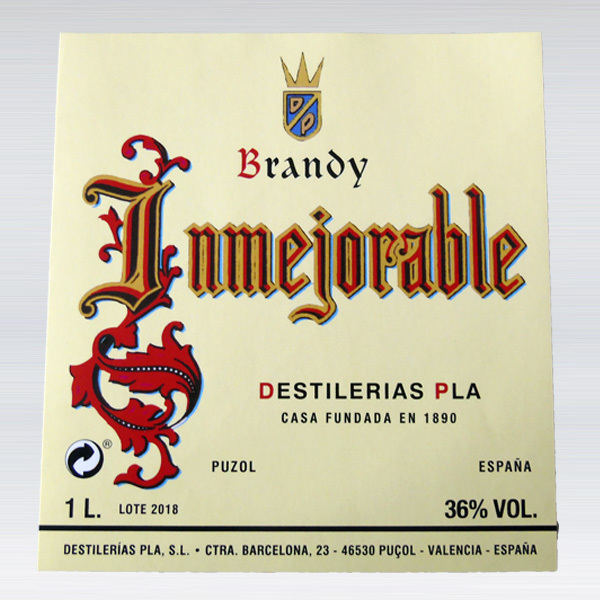 The Brandy Inmejorable formula was created by Uncle Pepe Pla 125 years ago; alcohol distilled from wine, holland, sherry and aromas. 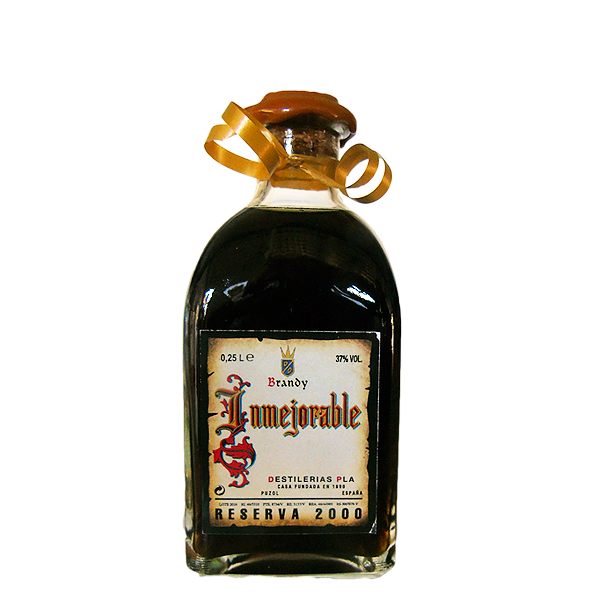 With 36º spends at least five months in oak barrels to become an everyday cognac with excellent taste. 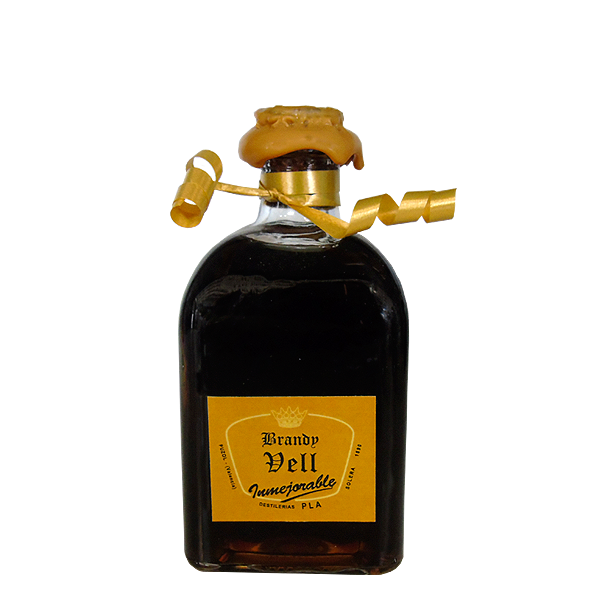 The exact origin of Brandy today is a mystery. 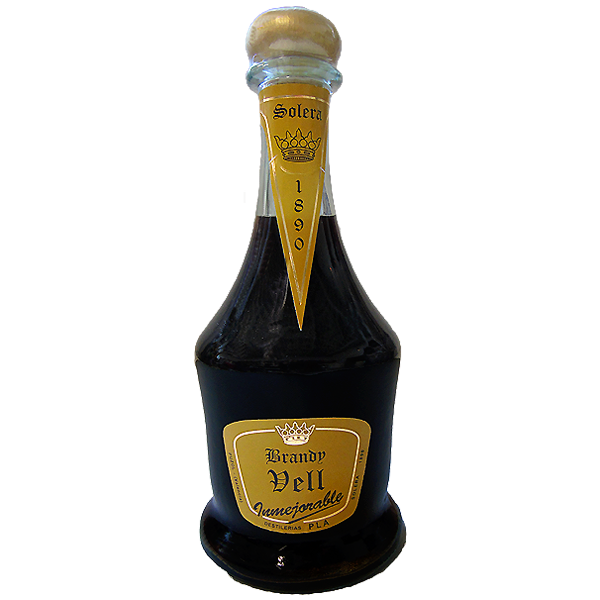 It is known that there were similar concoctions in ancient Rome and Greece but as we know it today first appeared in the SXI but not enough popularity to the XIV century. In those early days the wine was distilled as a preservation method to make it easier to transport to traders. The intention was to add back the water separated in the distillation of wine shortly before consumption. 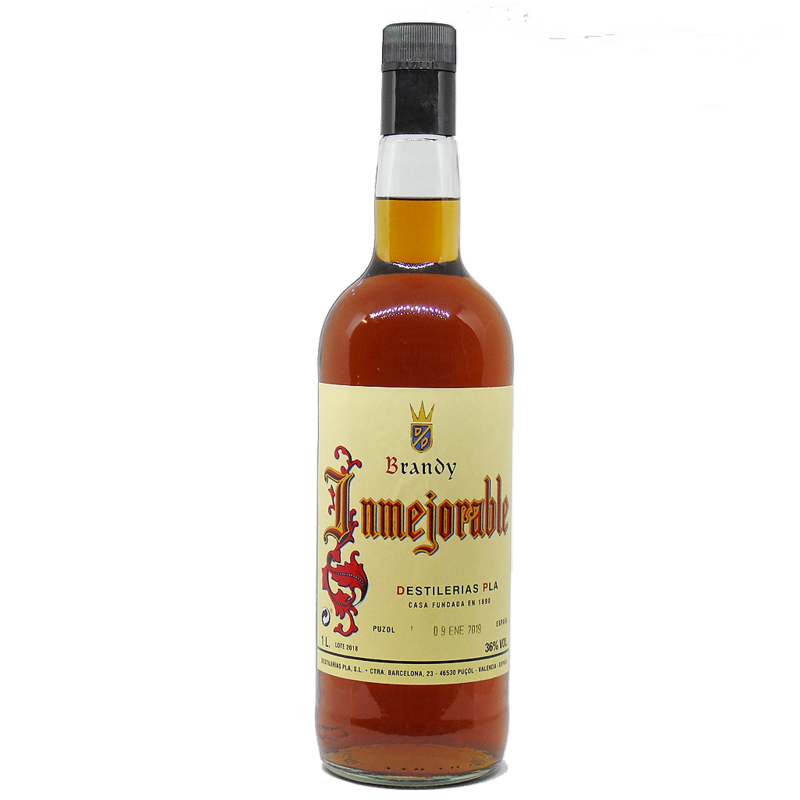 Then it was discovered that if it was stored in wooden casks, the resulting product considerably improved compared to the original wine. The word derives from brandewijn Brandy, of Dutch origin literally meaning burnt wine. The name is of Dutch origin is not a coincidence. 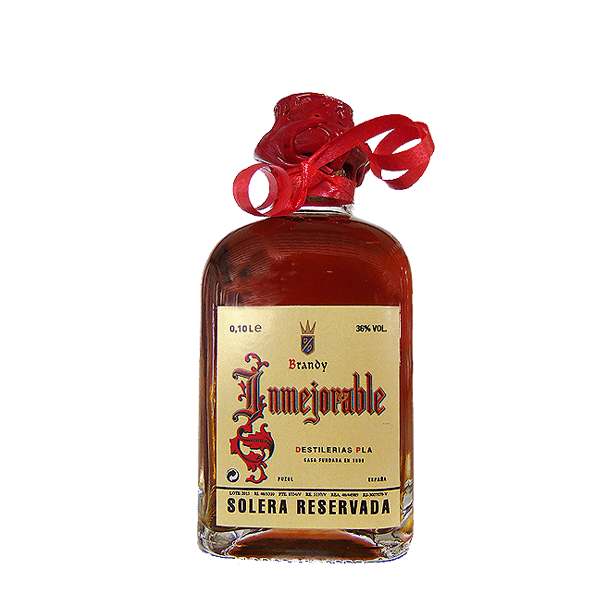 It was in the Netherlands which produced this type of liquor but with the base wine spirits burning that took place in Spain. 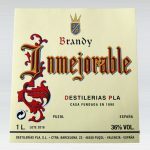 Be the first to review “Brandy Inmejorable 36º 1L” Click here to cancel reply.